This presentation will focus on understanding social power in childhood relationships. Ideally, children participate in relationships that have equal power, with the qualities of mutual respect and mutual generosity. However, most children will experience another child assuming power over them, whether this comes out as bullying or put-downs, or more subtly with friends who are exclusive or dismissive. Children need to learn how to be assertive and stick up for themselves, as responding in a passive or aggressive way will only give away their power. Navigating social power is essential to the development of self-esteem and a sense of agency. The talk will focus on providing an understanding of these dynamics and guiding parents on how to help their children on this often emotional and complex topic. 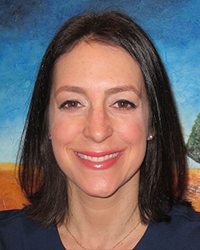 Bonnie Zucker, Psy.D., is a licensed psychologist with a background and expertise in the treatment of anxiety disorders. She conducts psychotherapy in private practice in Rockville, Maryland. Using a cognitive-behavioral therapy (CBT) approach, Dr. Zucker has helped hundreds of children become anxiety-free by teaching them coping skills, methods for challenging their thinking, and how to systematically face their fears. She is also the author of Anxiety-Free Kids, Take Control of OCD, Parenting Kids with OCD, and Something Very Sad Happened, and the coauthor of Resilience Builder Program for Children and Adolescents and two relaxation CDs. A respected psychologist in the treatment of anxiety, Dr. Zucker is also active in training other mental health professionals on the treatment of anxiety disorders.